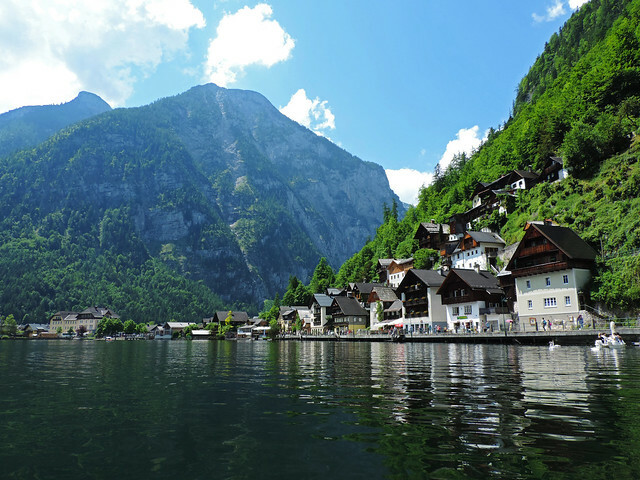 Our trip to Hallstatt was the one we were looking forward to the most this June. Also the one we were a bit afraid of. We usually try not to have expectations so that we can really experience the places we visit as they are. But this time we couldn’t help. We blame Instagram for that in the first place. 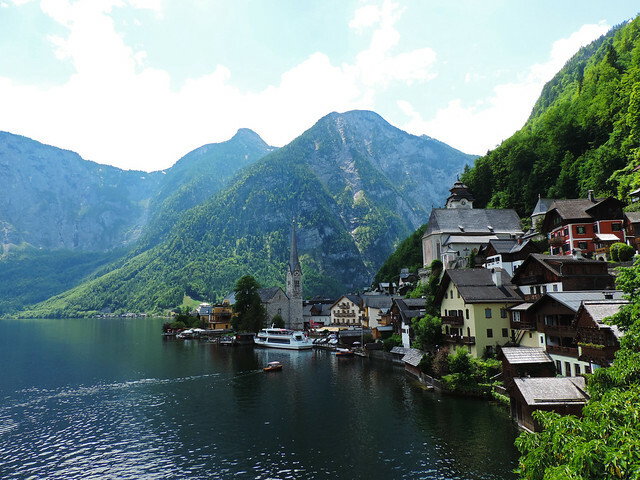 Postcard perfect pictures of Hallstatt have just flooded Instagram lately and we were a bit afraid that the real Hallstatt can’t cope with that perfectly photoshopped one. Of course, it can. (Now the impatient ones can scroll down to the giveaway because we will go deep into details…) By the way, reality always offers so much more than pictures – it’s just us who sometimes reject to embrace it. Hallstatt is really that pretty! So we are obsessed with mountains and hiking and we’ve already seen a couple of pretty mountain scenes. We’ve also seen dozens of those cute wooden cabins up in the mountain villages and whenever we see them we always have the urge to move into one of them immediately. 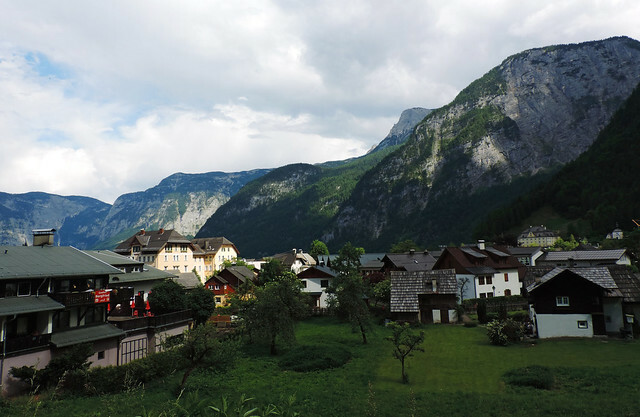 But we can’t remember any of those mountain villages being that pretty as Hallstatt. It’s like walking right into a fairy tale – especially on a nice sunny day. 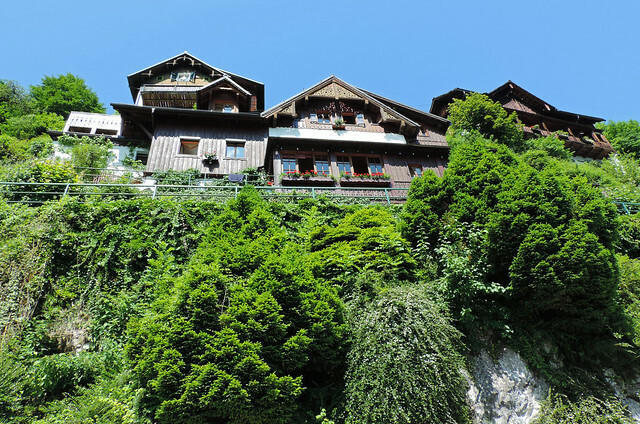 And we don’t only mean the 16th-century Alpine houses, alleyways and the iconic church on the lakeshore. We mean the whole scene and the feeling of being there: strolling through the narrow streets, taking a walk on the shore of Lake Hallstatt with the view of the town and all the surrounding peaks of the Alps, hiking above Hallstatt and getting amazed by the panorama. Not to mention that everything is reflected in beautiful Lake Hallstatt on a calm day. 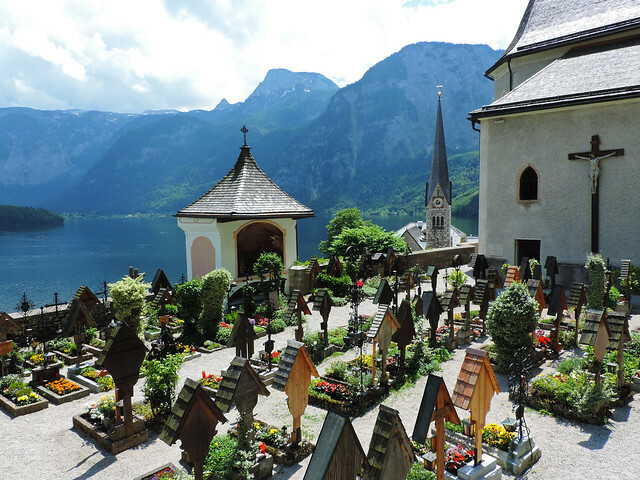 Gosh, even the graveyard of Hallstatt is so charming – and I’ve never thought I would say that about any graveyard. 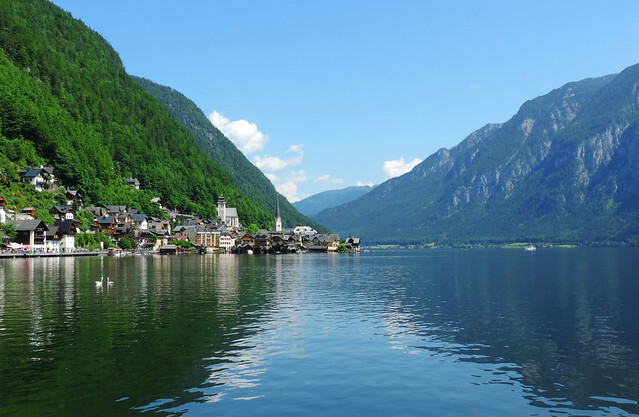 So where is Hallstatt exactly? 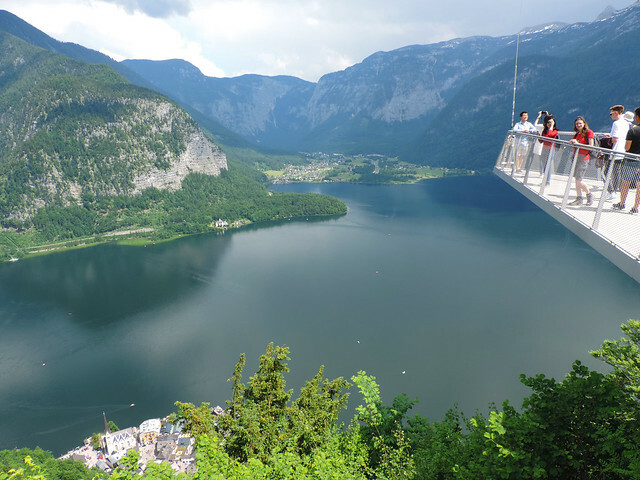 And talking about different angles… we enjoyed the views of Hallstatt and the surrounding peaks of the Alps the best from the lake. We rented an electric boat and circled around Lake Hallstatt for about an hour. Views were stunning – for one. Noise of the road and the people couldn’t reach us there – for two. Last but not least the sun was shining brightly and we were amazed by the reflections of the landscape in the calm lake. Of course, we explored Hallstatt in the traditional way, too: strolling through its lovely streets. We walked until the viewpoint in the north (the famous Insta view) and then headed up to the Catholic church. There is the graveyard I’ve already ranted about. And some more fascinating views. But there’s something else, too: the trail up to Salzberg also starts from the Catholic church. Now there’s a funicular railway that connects Hallstatt with the Salt Mine (Salzwelten in German) located on the top of Salzberg. But we found it much more fun to hike up there. Yeah, we always choose hiking if we can… 😀 Most people choose the funicular though so the trail is not busy at all and it offers nice views all the way. Plus, we also found a lovely waterfall. It took us about half an hour to reach the upper station of the funicular and the viewing platform over the lake. I might sound like a broken record, but the views of Hallstatt from above were just fabulous! After enjoying views of Hallstatt from every possible angle we still had a bit of time until sunset. Like 3 hours. That’s just perfect for another short hike, isn’t it? That’s what we thought, too. Especially if that hike offers waterfalls. Like the one in Echern Valley (Echerntal). 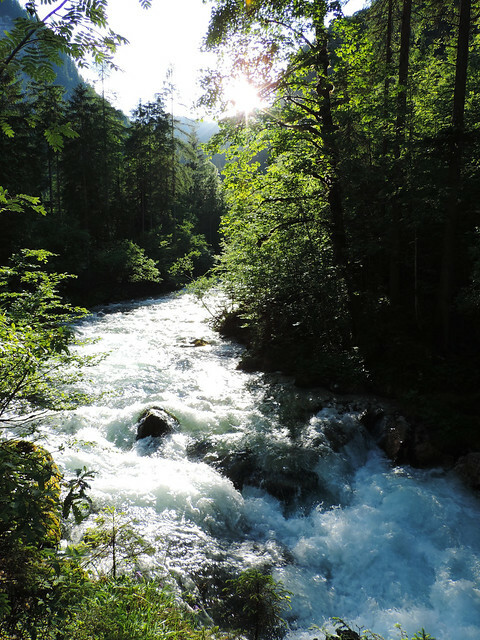 It starts from Parking 2 of Hallstatt and runs along a rushing mountain stream. The first waterfall is not on this stream though, it’s falling from a top of a cliff above the valley – I mean if it exists at all. It had very few water by June and we just hoped the other waterfalls will have more. Well, the ones on the rushing mountain stream had. They were impressive! From the first viewpoint we’ve seen not only one but several waterfalls and we decided to hike up to the bridge above the narrow canyon where the largest waterfall was coming from. We were soon cursing ourselves as we climbed up like a hundred steps carved into the stone wall – this trail supposed to be the easy walk for the end of the day. But it turned out to be a good choice as there was another powerful waterfall above the bridge that instantly made us forget about the pain in our legs. All in all, Echern Valley was a serene, romantic place and a perfect ending of our first day in Hallstatt. Another thing that exceeded our expectations: crowds were not bad at all. I mean we knew it’s a popular village and it’s also a tiny one. This combination is dangerous. But our impression of Hallstatt was that it’s a peaceful, charming mountain village – the prettiest one in Europe if you ask us. Some of the streets were a bit busy and we could obviously see many tourists there. But it was easy getting off the beaten path and explore quieter streets – not to mention walking and hiking trails where we barely met anyone. We visited Hallstatt in the very beginning of June. That may helped as well in terms of crowds. School summer holiday in Europe usually starts around the middle of June, and July and August are the busiest and most touristy months. So we try to avoid them and aim for May, early June and September. Still trying to figure out where to go in the summer… 😀 Anyway, early June worked perfectly for Hallstatt. As for weather, the chance for a rainy day is just the same in May or June as in the middle of the summer. Because that chance is quite high any time of the year, actually… And we’ll cover ideas for that in an upcoming post. Because our first sunny day in Hallstatt was followed by a second day when it was raining all day long. And we ended up enjoying it – okay, not the rain, obviously, but that day overall. We love road trips and whenever we can we choose to explore countries by car. So the question of parking always comes up and it’s usually a tough question in Europe. European cities and towns were not built for the amount of cars that we have these days. 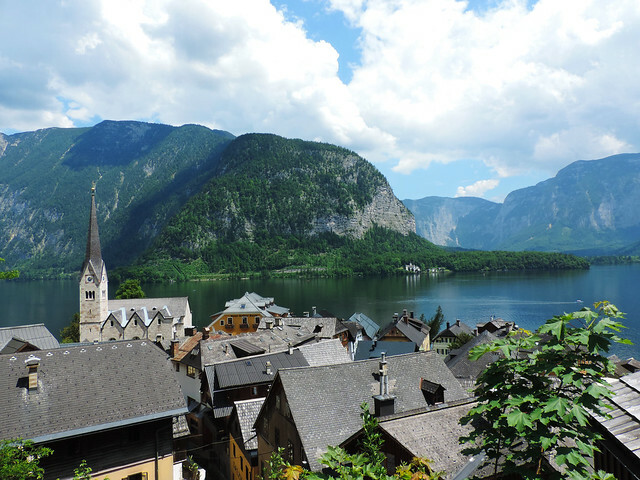 So if you plan to arrive to Hallstatt by car, here’s what we figured out about parking there. Hallstatt is tiny and there’s no chance parking there. In fact cars are not even allowed into the village. Also, there’s no chance parking for free anywhere near Hallstatt. But if you make peace with these facts, you can realize that the situation is not that bad as it seems first. 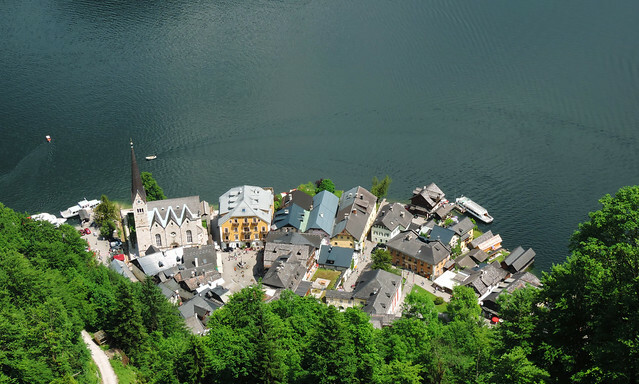 Three huge parking lots are located around Hallstatt where you can leave your car and walk into the village. They are paid parking lots and rates are based on the length of your stay. We found it expensive for a couple of hours but the longer you stay the better the price is. We ended up paying 9 EUR for the day. 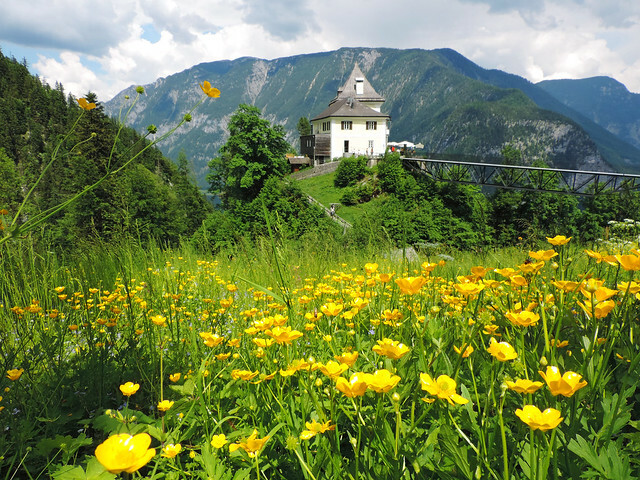 We chose P2 – it’s right next to the funicular station and it’s the trailhead for Echern Valley. There is a risk that the parking lot becomes full – in that case, you need to wait for someone to leave or check the other lots. We found no other options for parking than these three lots marked with P1, P2 and P3. Accommodation is very limited in Hallstatt due to its tiny size. Not to mention the price even if you find something. So we searched for options nearby and that’s how we found Gosau. 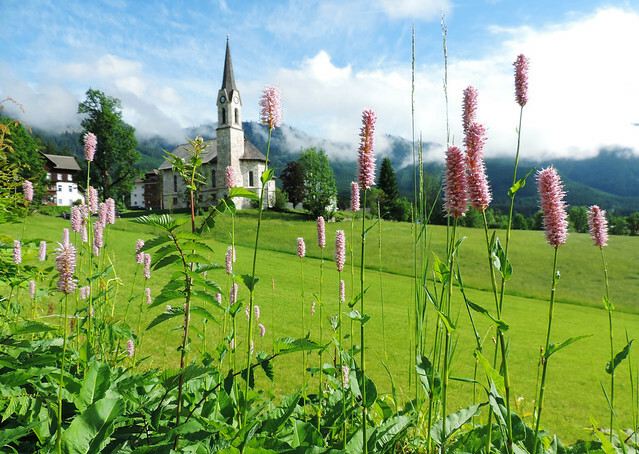 Gosau Valley is one of those typical and beautiful alpine valleys with lovely villages, small churches, millions of wildflowers and surrounding peaks. 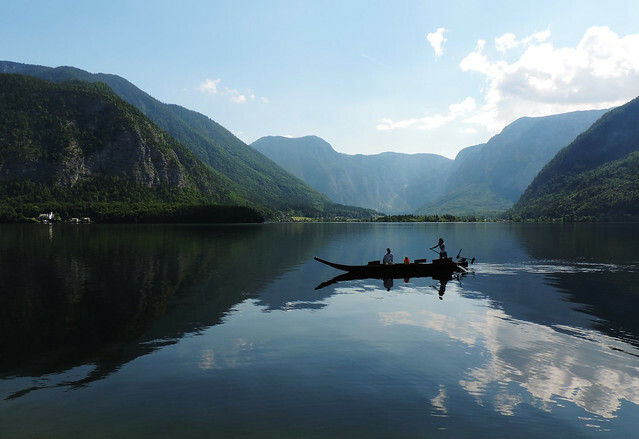 And what was the most important for us this time: it’s super close to Hallstatt, just 15 minutes by car. We ended up picking a guest house called Haus der Begegnung in Gosau and we were quite happy with our choice. We had a comfy room and wonderful views from our window, our host was welcoming and friendly and we got a delicious breakfast every morning that was included in the price of the room. It was a bit expensive but only if we compare it to the prices we got used to in Hungary, Slovakia or Croatia. Austria is not Eastern Europe and it’s true for its prices, too, that’s it. Though Hallstatt is a tiny village that you can cover in one day, it’s located in the Alps. And that means countless adventures for outdoor lovers. Hiking in summer, skiing in winter. 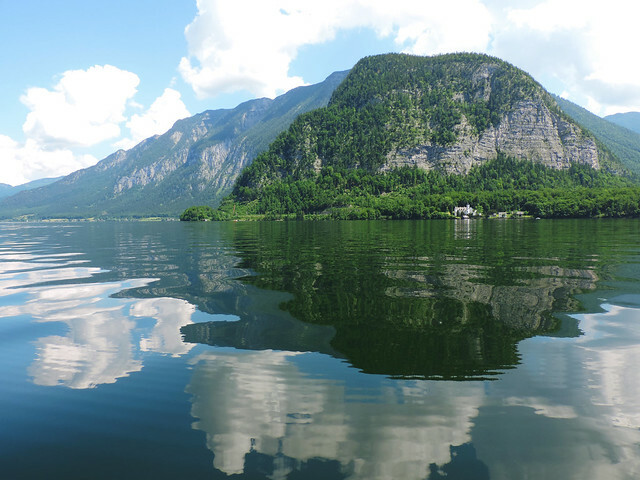 The region of Salzkammergut has about twenty different ski resorts and they are just as exciting for hikers in the summer. The most famous ones are Dachstein, Krippenstein and Tauplitz. 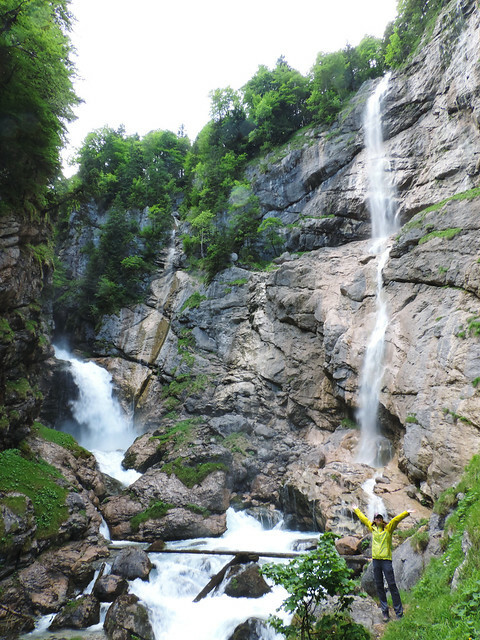 We also loved Gosau Valley very much. Giveaway: win a full one-year membership of the GPSmyCity app! Last but not at all least… partnered with GPSmyCity we are happy to surprise you with an exciting giveaway. The prize is a full one-year membership of the GPSmyCity app with access to ALL the GPSmyCity content. That means over 6500 self-guided city walks and travel articles worth over $8000! You can have a look at what they offer here and you only need to visit us on Facebook to enter the contest. Giveaway is open worldwide. Entries close on Saturday July 22nd at 6pm EST // Sunday July 23rd at 12am CET. One lucky winner will be randomly selected whom we will contact by email. What is your favorite charming mountain village?